The Miele Cat & Dog Dynamic U1 Upright is Miele’s answer to those that have pets. Its quiet operation is more pet friendly than noisy competitors. This and all Miele vacuums are well built German engineered vacuums, built to last. The Miele U1 Series features a unique SwivelNeck Technology which allows you to steer your upright effortlessly with just a turn of your wrist. It also allows you to position the vacuum in a flat to the floor position, allowing you to get under low furniture. Brushbar on/off controls in the handle. The 360-degree swivel front wheels allow for exceptional maneuverability. Automatic Height Adjustment: The Miele Cat & Dog Electrobrush will follow all the contours of your floor, and automatically adjust for differing carpet depths and surface coverings, and provide even, consistent suction and gentle cleaning. Motor protection indicator. The Miele Dynamic U1 upright uses a two motor system. One for suction and one for the brush bar. Suction control has 4 power settings to lower power for delicate fabrics, drapes and rugs. Miele’s Cat & Dog Pet Vacuum Features: This vacuum includes an AirClean Sealed System, which consists of an AirClean FilterBag and an Active AirClean Filter which captures and retains 99.9+% of dirt, dust and allergens. 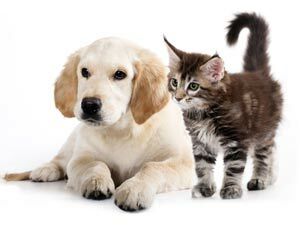 For Pets and Pet hair, the vacuum’s Active AirClean filter has activated charcoal, to neutralize and absorb unwanted pet odors. This keeps the air clean without smell as you vacuum. The vacuum includes a 39 foot power cord, and has a 54 foot reach with its 12-foot integrated flexible hose. Accessories include: Dusting brush, telescopic aluminum wand, upholstery tool and extended crevice nozzle. Included is the Mini Handheld Pet Turbobrush is included to get pet hair, dirt, and dust from upholstery, cars, stairs, and hard to get areas. The FilterBag change indicator will let you know when the bag is full. The Miele Cat & Dog uses Self Sealing Dust Bags with a generous 5.45 quart capacity. The Miele Type U bags have a 9-stage filtration system and self-locking Auto-Seal collar. Filter change indicator. 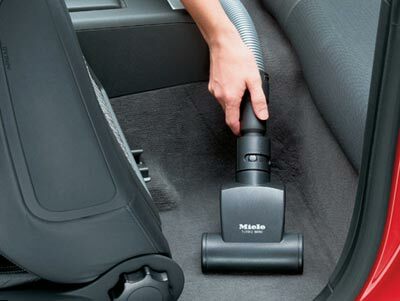 Miele vacuums use an AirClean Sealed System construction which prevents dust and dirt from escaping the vacuum. LED Headlights to illuminate your floor or carpets. Miele Vacuums are tested to last 20 years and include a 7 Year Motor and Casing Warranty. U1 Series Vacuum Cord Length: 39 feet. Vacuum Warranty: 2-year limited warranty on parts and labor. 7-year warranty on motor and labor. Smart-Review Commentary: The Miele Cat & Dog Dynamic U1 upright is Miele’s best upright vacuum designed for those with pets. All Miele uprights run quieter than competitor vacuums so as not to upset your Cat or Dog. This model comes with an activated charcoal filter to neutralize pet odors, and comes with a Pet turbo brush to vacuum your upholstery and car interior. The Air Clean dust bags used on this vacuum have a 9 stage filter, ideal for those sensitive to dust. A new pre-motor filter and Super Air Clean Exhaust Filter are included in every box of Miele dust bags. The bags have a large 5.45 quart capacity, so you won’t have to change them as frequently. The self sealing bags are designed so that you won’t have to be exposed to the dirt, just throw the bag away in the trash. You can upgrade this vacuum with the optional HEPA filter (listed below). Miele vacuums are known for keeping the air cleaner than other brands of vacuums with its sealed air system (Miele has gaskets on all openings). The Miele Cat & Dog has received the Good Housekeeping seal of approval. The included Mini Handheld Pet Turbobrush allows you to get dust, dirt, and pet hair from your Car, upholstery, and stairs. The Brushbar on/off controls are conveniently located in the handle. The 12 foot telescoping wand and hose give you a long reach to clean stairs, walls, drapes, and ceilings. This model has received extremely high marks from professional reviews as well as outstanding reviews by consumers. This model is a Smart-Review top pick and one of our best upright pet vacuums. Miele Vacuums are tested to last 20 years. The Miele Cat & Dog Upright is also our “Best of 2019” award winner for bagged upright vacuums. Description: The Miele U1 Cat & Dog Upright is Miele’s best upright vacuum. With pets in mind, this model has an activated charcoal filter to contain pet odors. The sealed Airlclean system keeps dust, dirt, and allergens inside the vacuum. This model won our BEST of 2019 award.